This personalised ceramic candle holder will make a special and thoughtful gift. Personalise this Personalised Live Love Laugh Ceramic Tea Light Candle Holder with up to 2 lines of 15 characters. 'Live Love Laugh' is fixed text on this item. 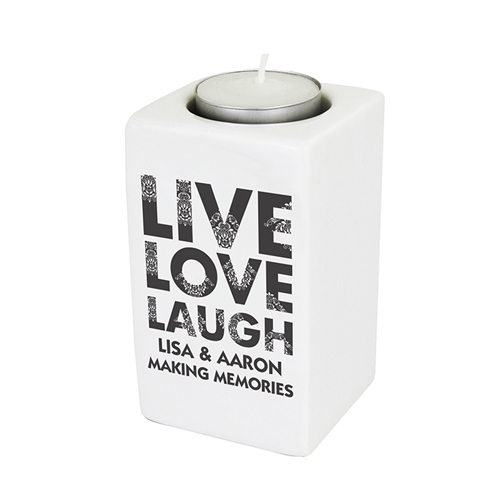 Personalise this Live Love Laugh Ceramic Tea Light Candle Holder with up to 2 lines of 15 characters.